Numerous forest fires are burning in Northern California. The closest burn in Sonoma and Napa County, California's most prominent wine region. Hundreds of people are missing and thousands of houses are lost to the fires. The biggest fires are still less than 5% contained. Their smoke covers the entire San Francisco Bay Area. 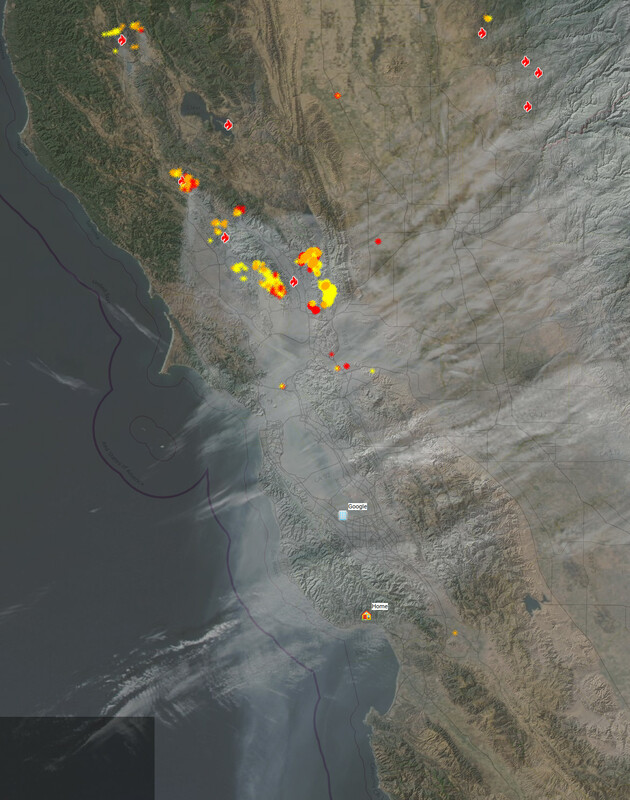 The satellite image above shows how the smoke blows south and east over the Bay Area and towards the Sierra Nevada. 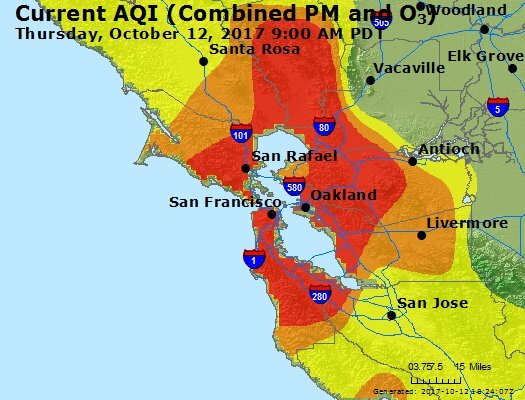 The smoke has a big impact on the air quality in the Bay Area. It gets worse further North and closer to the fires. San Francisco and Oakland have it particularly bad. My work in Mountain View is in the orange band North West of San Jose. Orange indicates Unhealthy for Sensitive Groups. Shifting winds can turn this easily into a Unhealthy condition. 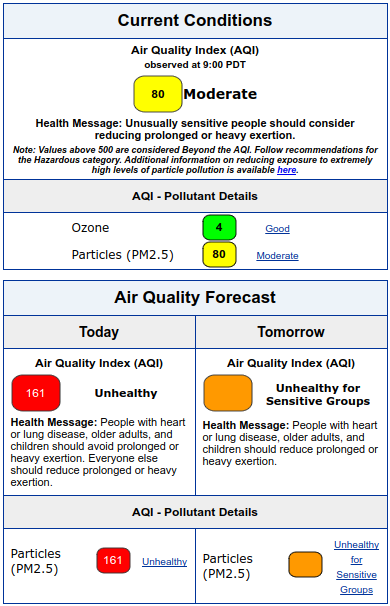 Yesterday, Google called all outdoor support staff inside due to the bad air quality. Our home is about 92 miles (150 km) from the fires in Sonoma. Thanks to the Santa Cruz mountains to the North from us, our air is noticeably better than at work. But we can still smell, taste and see the smoke. Bad enough that we stay indoors when we can. 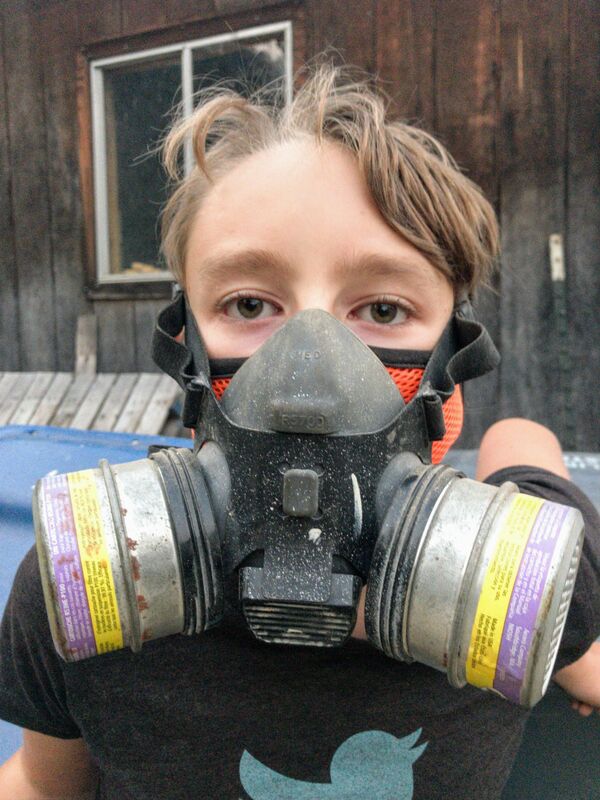 And if Casper has to take out the trash he wears a respirator. 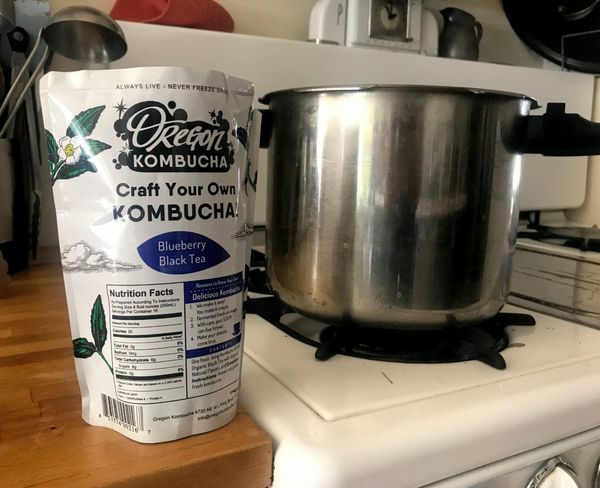 How we made our first batch of blueberry kombucha.